This past week has been absolutely insane. 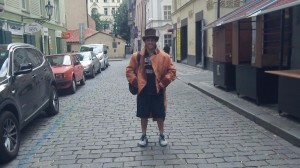 I’ve traveled from Israel, to Prague, to Poland, and back to Israel. I’ve slept in 5 different hotels, visited Schindler’s old factory, Auschwitz, and the Warsaw Ghetto. I’ve lead a group of nearly fifty 16 year-old student’s through each one of these places and, if I had to guess, I may have slept a total of 22-25hrs throughout the entire week. 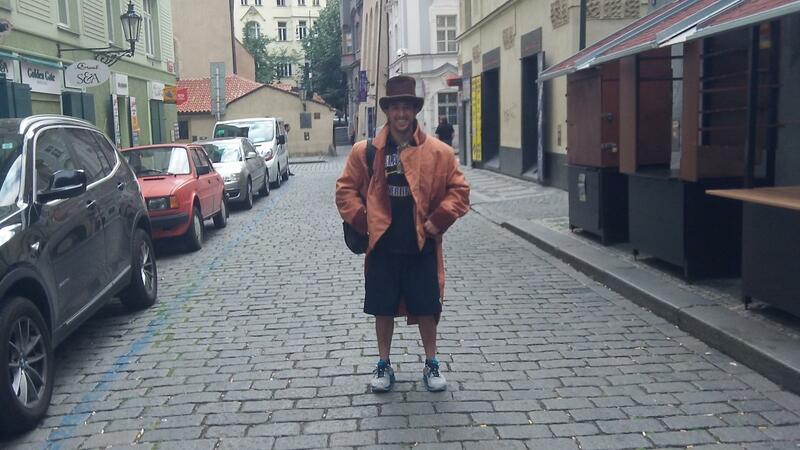 Me dressed up as Mordecai Meisel in the middle of Prague. Oh the stunts I pull for my students’ amusement…. The student’s are beyond extraordinary and it’s been a pleasure to watch them grow, learn, and appreciate their journey. Luckily for me, during our [minimal] free time I realized the student’s love getting their posture analyzed. It’s actually ridiculous (and hilarious) but at random times each day I’ll inevitably perform up to 3-4 postural exams, all the while explaining to the students what I’m looking for, why I’m looking for it, and how it can be fixed. Operation produce nerdy meatheads has officially begun. During my last trip to Jerusalem, around 10 days ago, I recorded a video outlining my thoughts/beliefs regarding nutrition while abroad. It’s relatively long but I cover a lot of [what I consider to be] very important information so I encourage you to watch the video in its entirety. Also, as I’m not sure when I’ll post my next article, I thought I’d include a brief snippet of a sample upper-body exercise you can perform with the bands: the Half Kneeling Banded Face Pull. As always, I hope you enjoy the videos and if you have any questions or suggestions be sure to leave them below.